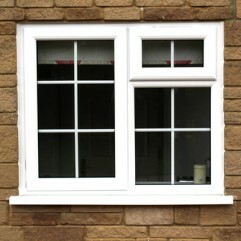 Double glazed windows can improve the appearance of your property, boost the energy efficiency of your home and ensure your house is safe and secure. 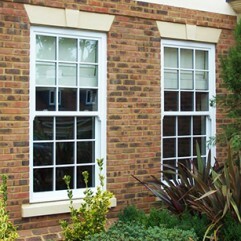 Both uPVC and aluminium windows can now uphold the traditional good looks of older properties or alternatively can be of a more contemporary appearance. Gone are the days when your only option for uPVC frames was white: There are now many foil wrapped options so there is sure to be a colour to suit your home. 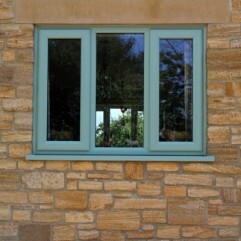 For an even greater choice, aluminium frames can be sprayed to any RAL colour. 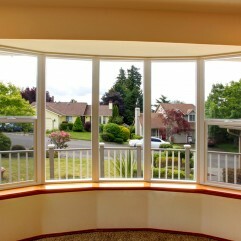 Whether you wish to replace existing frames like for like, or are dreaming of an entirely new aesthetic, we can help. 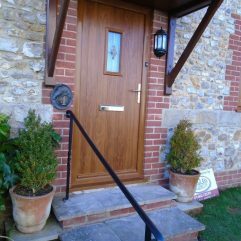 And unlike many double glazing companies, our highly trained and friendly fitters are all employed by us – so you can be guaranteed a high quality service throughout. Energy efficient. A-rated sealed units help you save money on heating your home. Secure. 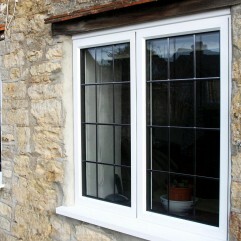 Internal glazing and multipoint locks ensure your windows are secure. Noise reducing. 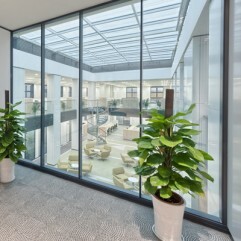 Up to 30% less noise from outside, when you choose acoustic external glazing. Guaranteed for 10 years. All customers benefit from our insurance-backed 10 year guarantee. 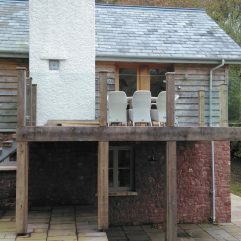 "Golden Oak on White PVCu Installation "